Below you can view all the homes for sale in the Stonegate Knolls subdivision located in Parker Colorado. Listings in Stonegate Knolls are updated daily from data we receive from the Denver multiple listing service. To learn more about any of these homes or to receive custom notifications when a new property is listed for sale in Stonegate Knolls, give us a call at 720-606-6923. HOA includes community Pool and tennis MLS#4425743. Christopher Crowley. Fantastic location for your family, with close proximity to Challenger Regional Park, recreation center, and schools! MLS#4897684. Atlas Real Estate Group. Convenient access to I25 & C470. Do not miss! MLS#4627480. RE/MAX Masters Millennium. Enjoy the low maintenance, beautifully landscaped yard from the covered patio. MLS#3026305. Freedle and Associates LLC. Easy access to E470, DIA, DTC, shopping, transportation and all of the amenities in Parker! MLS#4387375. RE/MAX Professionals. Make this home your own before summer and you will be enjoying the home and the neighborhood amenities including 2 great pools, volleyball courts, tennis courts, walking trails, and many parks. MLS#9648980. Keller Williams Executives. 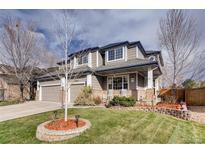 Close to shopping, schools, parks, I-25, C-470, Denver tech center, & light rail. MLS#8668434. Berkshire Hathaway HomeServices Innovative RE. 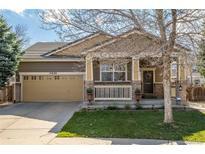 Desirable Douglas School District & easy access to E-470 making for quick commutes! MLS#2550303. Rocky Mountain R.E. Advisors. Even includes a seller paid home warranty. MLS#2027111. KAREN & COMPANY REALTY. Make your move in time to enjoy social Stonegate summers! MLS#8102295. RE/MAX Professionals. This community has a pool and is centrally located near shopping, E-470, Parks, Cherry Creek Trails and Restaurants! MLS#9286264. PINETTE REALTY GROUP LLC. Neighborhood is coveted because of the amenities it offers, like 2 pools, clubhouse, trails. Great Douglas County Schools. MLS#5854989. RE/MAX Alliance. Home comes with a 30-day buyback guarantee. Terms and conditions apply. MLS#6476435. Opendoor Brokerage LLC. Access to both Stonegate pools, tennis courts and trails. MLS#6948906. KAREN & COMPANY REALTY. Enjoy the green space across the street and direct access to the Cherry Creek Trail from the neighborhood. Welcome Home! MLS#3100375. Realty One Group Premier Colorado. Make an offer today and get ready to spend your summer with great amenities! MLS#8509197. Start Real Estate. There is an entrance across the street to a pretty park with a tot lot. MLS#1895217. KAREN & COMPANY REALTY. HOA includes 3 community pools, tennis courts, neighborhood parks and much more! Showings start 4/15/19. MLS#6784417. COLDWELL BANKER RESIDENTIAL 24. Call today to schedule your personal showing! MLS#7754921. TRELORA. All of this situated in a convenient, friendly neighborhood with outstanding schools, only 20 minutes from downtown Denver. MLS#5642320. Keller Williams Executives. Close To Schools, Shops & Entertainment. Don'T Miss It! MLS#7825541. Coldwell Banker Residential 26. Well maintained home is close to Pine Grove Elementary, community pools, parks, and tennis courts. MLS#9544424. RE/MAX Professionals. Known for their energy-efficient features, our home help you live a healthier and quieter lifestyle while saving thousands on utility bills. MLS#3056315. Kerrie A. Young (Independent). Close to Parker Rec Center and Hiking and Biking Trails! MLS#7212046. Brokers Guild-Cherry Creek Ltd..